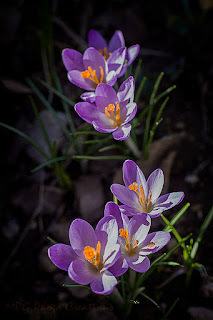 My Crocus are really coming to life. They are as eager for warmer weather as I am. Here is an image of a group of them from Thursday.